In these break days during the holiday season I've finally organized my scattered craft space and am working on my long neglected want-to-sew pattern list. I especially want to sew up some wearables for myself & my little miss now that we've gotten a full dose of snow and need to stay warm. 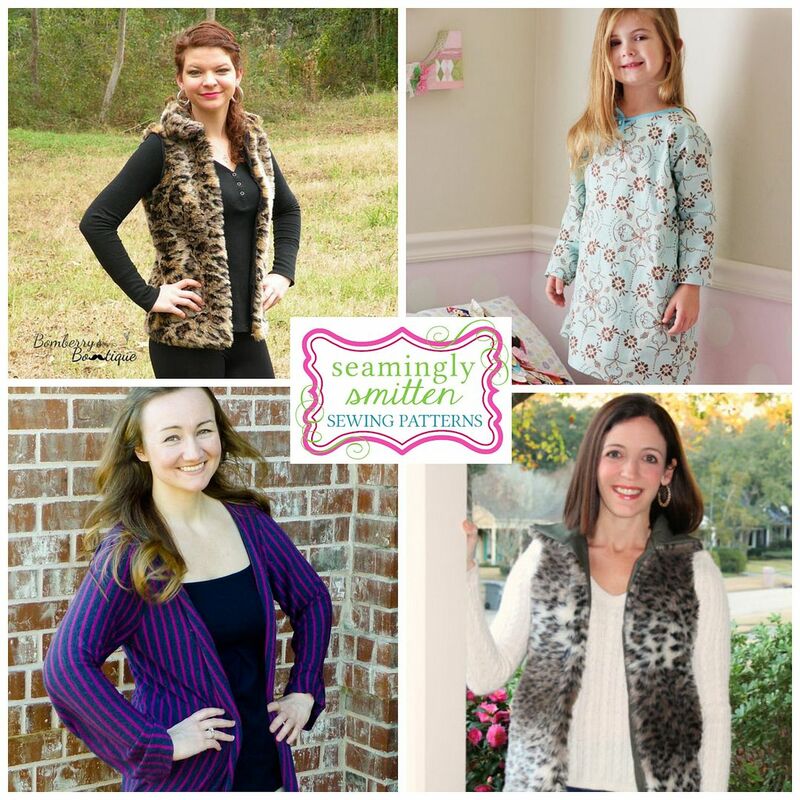 My lovely sponsor, Seamingly Smitten, has a new perfect-for-winter pattern I'm ready to try and some fan favorites that are ideal for the frosty days ahead. 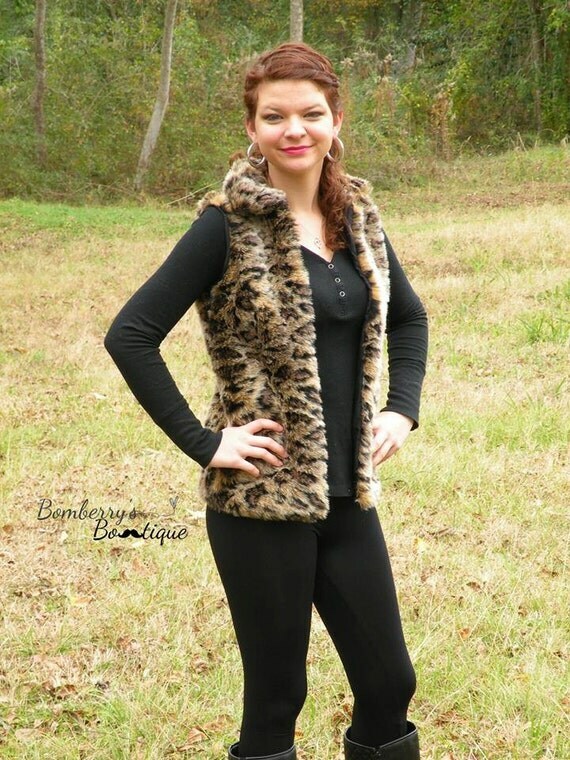 Women's Reversible Vest Pattern. 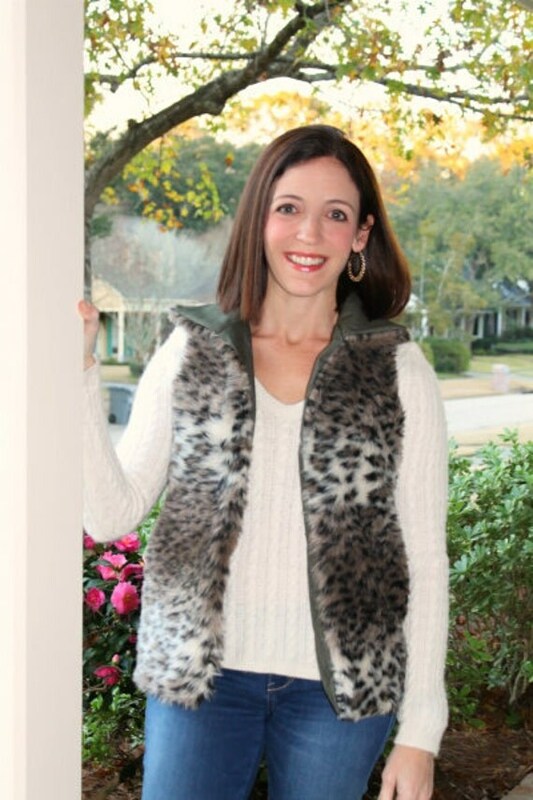 Pick out a cuddly faux fur fabric and use it to make a super stylish winter vest (aka gilet). It has 3 lengths and also works with sherpa, flannel, fleece & flannel, so you can make lots of great versions to layer all season. I'm combing through my stash to put one together myself, so stay tuned for my vest reveal. 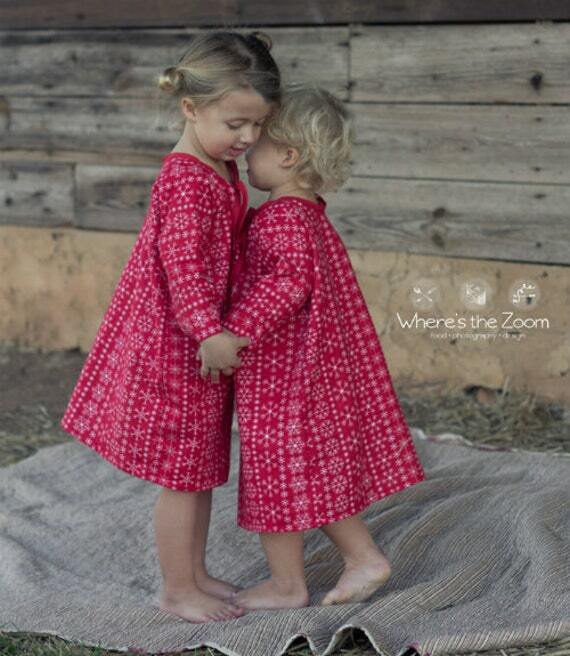 Or go for something for the little ladies with the Sadie Grace Nightgown Pattern. It has a sweet tie front and sizing for 6 months to 8 years. It works well with pretty prints and soft flannels and is easy enough for a beginner, so an ideal project if learning to sew is on your list for 2014. Through 1/5/14 save 50% OFF Women's YOGA Pants sewing pattern too. With 4 lengths, hidden pocket and fold over waist, these are a great all-season pant. with any $10 minimum pattern purchase!! And you can keep up with Seamingly Smitten on Facebook, by newsletter and on the Seamingly Smitten blog, where Jenny shares some great sewing tips and free tutorials. 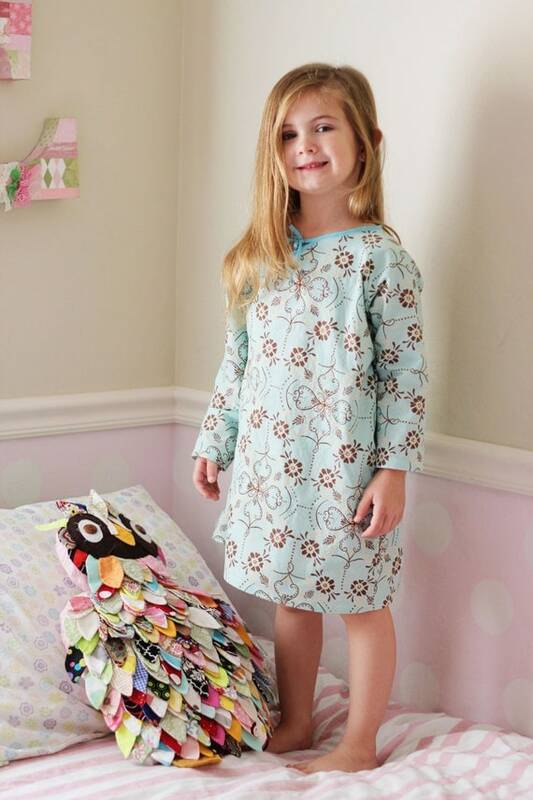 Lots of good ways to keep sewing what it should be - fun & easy! I received compensation for this post. The opinions are completely my own, based on my honest experience using patterns from this shop. Thank you, Cheryl!! I hope you LOVE sewing your own Fur Vest!! It's soooo warm and simple to make! !